The Oregon Transportation Commission will hold a 'listening session' about a policy advisory committee's recommendation to toll all lanes of I-5 and the I-205 Abernethy Bridge. 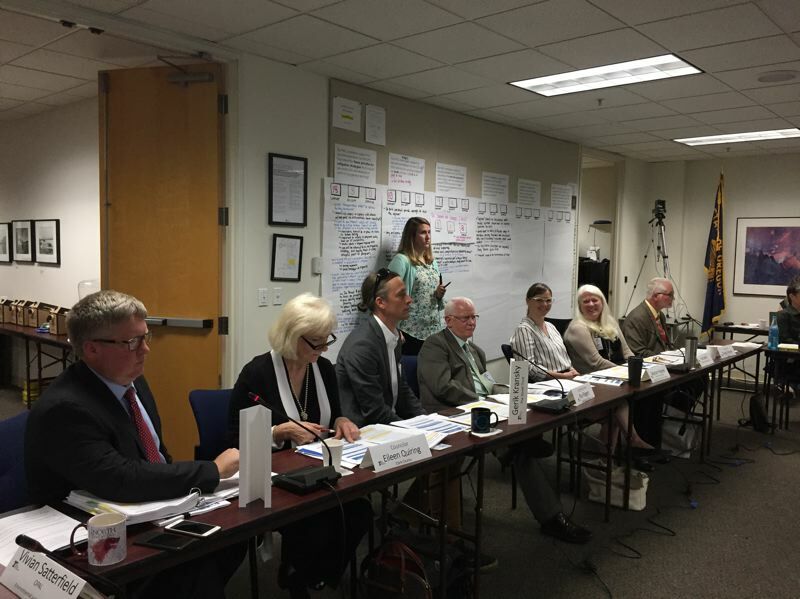 PORTLAND — The Oregon Transportation Commission will hear from the public Thursday, July 12, concerning a state policy advisory committee's recommendation for tolling Interstate 5 and the Abernethy Bridge on Interstate 205 in the Portland metro area. Commissioners will hold a "listening session" from 4 p.m. to 7 p.m. in the Columbia Falls Ballroom at University Place Hotel and Conference Center, 310 SW Lincoln St. in Portland. The event begins with a formal presentation of the recommendation and comments from committee members and elected officials. Doors open at 3 p.m. at which time people can start signing up to speak. Public comment begins at 4 p.m. Commissioners also are accepting comments online until July 20. The meeting is slated to be live streamed on the Oregon Department of Transportation's YouTube channel. The recommendation, submitted to the transportation commission July 5, calls for all lanes of Interstate 5 and the Abernethy Bridge on Interstate 205 to be tolled with congestion pricing — a concept that involves setting different toll amounts based on the amount of traffic. Revenue from the Abernethy Bridge toll would go toward paying for constructing a third lane on the two-lane stretches of I-205, from Highway 99 East to Stafford Road. Tolls on I-5 would extend from Northeast Going/Alberta Street to Southwest Multnomah Boulevard. The tolls would be launched as a pilot program to show the public the efficacy in changing driver behavior and reducing congestion, committee members have said. The second part of the recommendation calls for analyzing the results of the tolls and possibly developing a comprehensive plan for tolling other highways in the Portland area. A $5.3 billion transportation-funding bill passed last year required the transportation commission to study and consider tolling in the Portland metro area but does not mandate it. The transportation commission has until December to send a proposal to the Federal Highway Administration, which would need to approve any plan. State transportation officials say it would take several years to launch the tolling pilot program.